Attorney Joseph A. Morrey has the experience and integrity you need to work for the best results in your case. If you had a choice, and you do, why would you settle for any less? 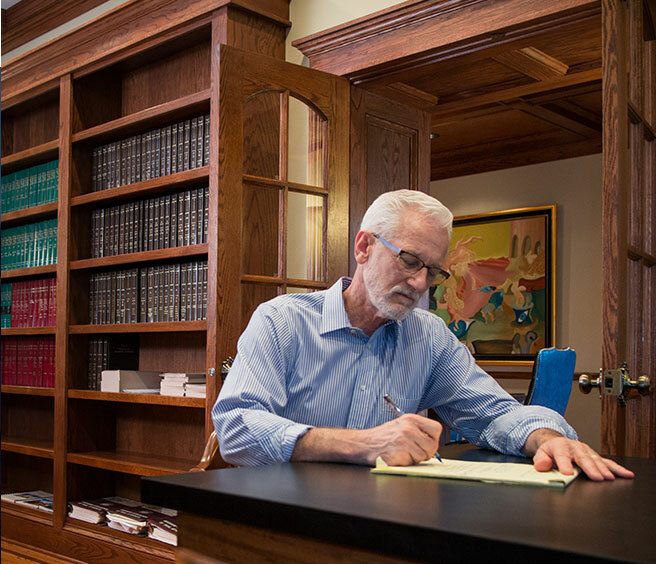 Joseph A. Morrey has personally prepared and tried over 100 jury trials throughout Northwest Missouri and the greater Kansas City, Missouri area as a prosecuting attorney, defense attorney, and ultimately as a plaintiffs' trial attorney. As a young prosecutor and defense lawyer, he tried criminal cases involving everything from traffic tickets to capital murder. And now as a civil litigator for the last 35 years, he has litigated damage cases involving everything from slip-and-falls to catastrophic injuries and wrongful death. This breadth of experience is unusual and has uniquely qualified him to handle any injury case successfully. He has literally "seen it all." From case investigation and witness preparation to legal research and jury argument, from medical records review and doctor interviews to mediation preparation and presentation achieving maximum settlement, he has done it all and is ready to do it for you. Joe Morrey believes in being active in the community. He is a past chairman of the board of the St. Joseph Salvation Army and has served on numerous other local not-for-profit advisory boards. He is a strong advocate for people in the community as well as being an aggressive advocate for their legal needs. If you or a family member has been seriously injured or is charged with a crime, call Joseph Morrey in St. Joseph at 816-364-1506. He will discuss your case with you in a confidential, free consultation. You can also arrange your consultation with Joe through email. Contact Joe today.